Thomas Muller says he is angry about the way Joachim Low dumped him from the Germany squad. 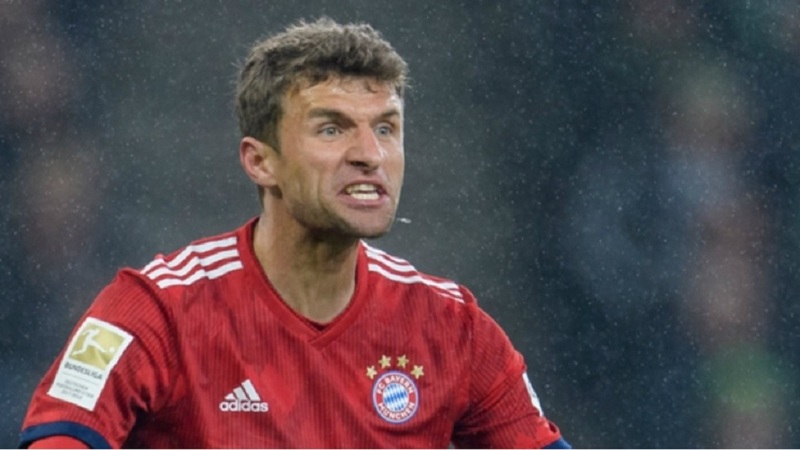 Low announced on Tuesday that Muller, along with Bayern Munich team-mates Jerome Boateng and Mats Hummels, would no longer be considered for selection. Muller has made 100 appearances for Germany and, with Hummels and Boateng, helped his country to glory at the 2014 World Cup. And the Bayern attacker has not responded well to the decision by Low and the German Football Association (DFB). "The longer I think about it, the more I get angry about the way this happened," Muller said in a video posted to social media. "I do not understand why this decision must be so final. I was totally dumbfounded by this decision out of the blue by the national coach. A national coach must take decisions. I do not doubt that. "But Mats, Jerome and I are able to still play football at a top level. Together with the DFB we have come a long, intense and mostly successful way over the last years. 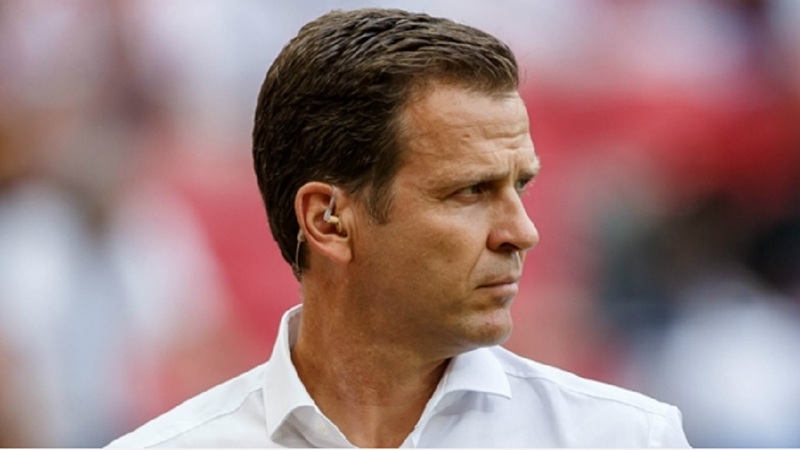 "Shortly after we learned about that decision by the national coach, we read prepared statements by the DFB and its president in the media. For me that is not a good style and it is definitely not a sign of respect. "I was always proud to wear the DFB shirt. I always gave everything. It was an incredible journey. I am a fighter and I will look ahead now. The game's not over." Bayern also released a statement from chief executive Karl-Heinz Rummenigge and sporting director Hasan Salihamidzic that hit out at the timing of the DFB's decision, which was announced shortly before a Champions League tie with Liverpool. 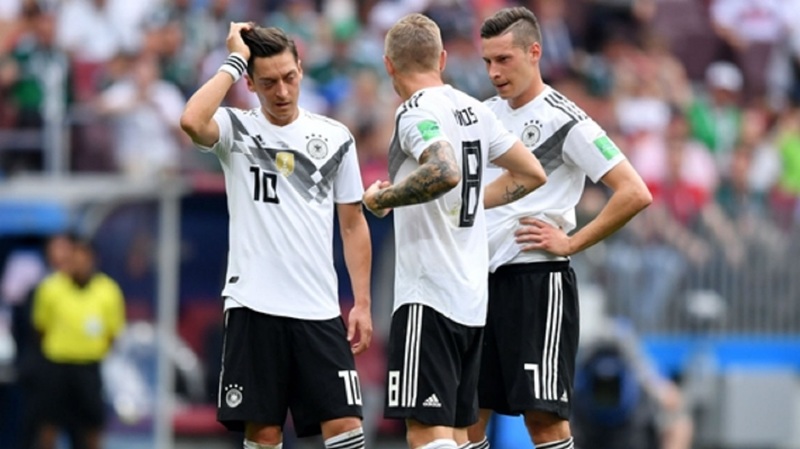 "National coach Joachim Low has decided not to consider our players Thomas Muller, Mats Hummels and Jerome Boateng in the future," the statement said. 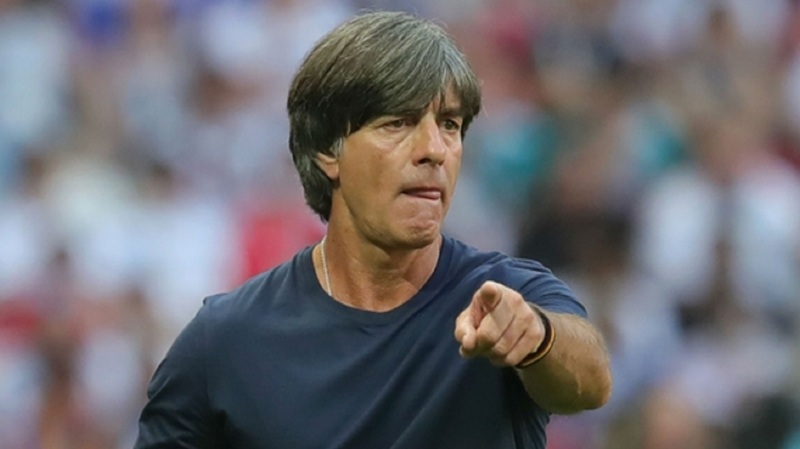 "Basically, we do not comment on sporting decisions of the national coach, the nomination of the squad of the national team is solely the responsibility of Joachim Low. "However, we believe the timing and circumstances of the announcement of this decision to the players and to the public is questionable. The last international match of the German national team took place on November 19, 2018. "The fact that the players and the public got informed about three months later irritated us, right before the key matches of Bayern next Saturday in the title race of Bundesliga against Wolfsburg and just days later the crucial return leg in the last 16 next Wednesday against Liverpool." Boateng, however, took a less confrontational tone when he posted on social media about being dropped by the national team. "I am sad about this news because it has always been the greatest thing for me to represent my country," the defender wrote on Instagram. "Nevertheless, I respect the new course and understand the decision of the national coach. "I was young myself and reliant on older players to make room for me. Personally, I am convinced that I can continue to play at the highest level and will continue to do so in the future. "I will always look back with great pleasure on the time spent in the DFB team. I have always been extremely proud to wear the jersey of the national team and I will never forget summer 2014 in particular. "Of course, I would have wished for another farewell for us. Good luck to the team for the future!"